Why should I participate in the Prolight + Sound 2019 as an exhibitor? This and other questions are posed by many companies when they are considering participating. In order to offer some support, we have collected some ideas for exhibitors. That’s because it especially pays to book a stand by the end of the month: early birds profit from a rebate through the 31st of July! In keeping with the slogan: “The world visiting Frankfurt,” Prolight + Sound, together with the parallel Musikmesse, welcomes interested visitors annually from over 150 countries. The numbers of international visitors continues to grow, with 43 percent coming from outside Germany, and it was even 63 percent for exhibitors. 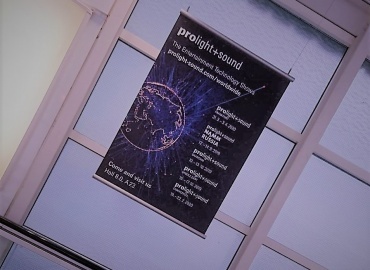 This means Prolight + Sound is one of the industry’s most global trade fairs. 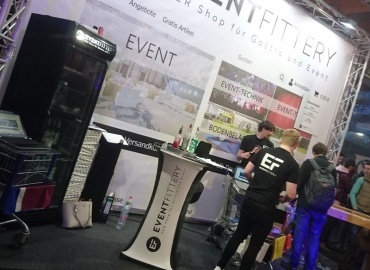 From retail to distributors to studio operators and event managers – experts from all special areas take part in the fair. This ensures you can experience all the contact persons in one place and can exchange ideas in depth. As one of the largest and modern trade fair grounds in the world, exhibitors in Frankfurt profit from the wide-ranging design possibilities. Its newest building, Hall 12, will offer a gross exhibition floor area of 33,000 square meters, supplemented by ceiling height of 10 meters. Not least due to the connection to the Audio Hall 8.0, this offers companies numerous variations for presentation. The Messe Frankfurt’s generous outdoor grounds offer ideal conditions, in particular for demonstrating PA systems, LED walls or mobile tent systems. Visitors can experience products under real-life conditions here. The fair grounds are also well-equipped when it comes to infrastructure. Whether the proximity to the local airport in Frankfurt – you are there within 20 minutes – or the 10,000 hotel rooms within walking distance, Prolight + Sound can be enjoyed without problems. With a diverse auxiliary program of events during the period of the trade fair, exhibitors can also present themselves in front of an international experts on various speaking stages. This also includes over 2,000 journalists, bloggers, and influencers, who travel here from around the world and spread the news of innovative product improvements on various channels by the millions. This means exhibitors have the possibility to have their product carried out into the world, even after the fact.